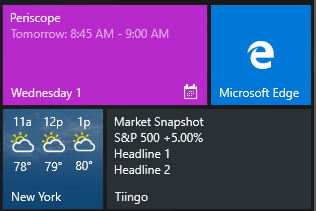 For those of you with Windows machines, tablets, or phones (okay Surface users and PCs) – you may see what Windows calls “Live tiles.” Windows 8 may have overdone it 😉 but Windows 10 nailed it. Tiles allow you to gain a snapshot of what the app is doing without having to open it. I always found this implemented on Android clumsy from a UI standpoint and the feature is mostly non-existent on iOS -with the exception of a Apple-apps like weather and the clock. I use an iPhone for the record. But – Microsoft nailed it IMO with the perfect amount of structure and dynamic content. Whereas Android has widgets which are all sorts of shapes, Microsoft forces structure and lets you “snap” together tiles. When you’re done with the wizard, click “Generate” and download the Source code. I like the idea of clean, text and for financial data images are not as necessary. Maybe later we will include them for news stories, but first I wanted to include text. 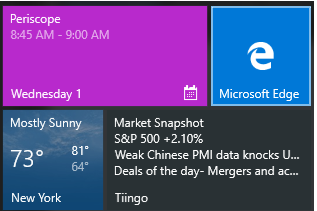 Next we have to tell Windows when to update the data and what to do. //Next we get the returns and append a "+" sign if the return is >0. For negative numbers, JS defaults to appending a "-"
Since we are using Angular, we wrapped the initial call in a $timeout() and then set an $interval to get the marketData JSON object from our back-end every 30 seconds. 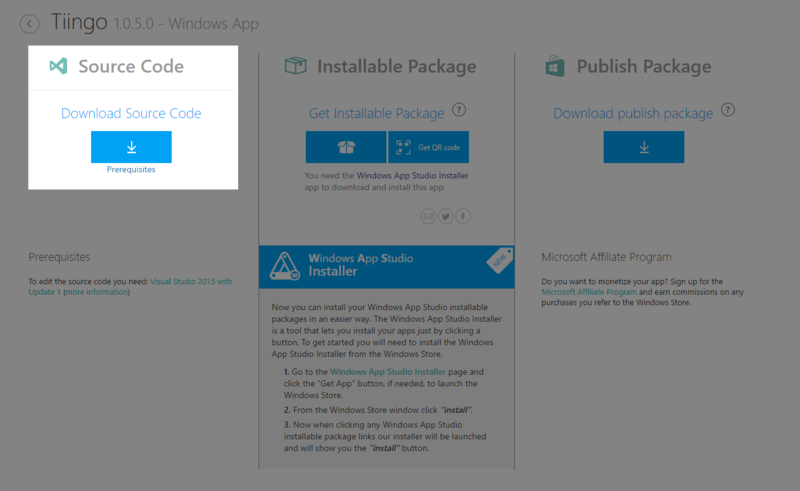 Step 4 – Test the app by running it in Visual Studio, pin the app to your start menu, and voila!